Our Leadership - Southern Platte Fire Protection Dist. Director Hopper was first voted onto the Board of Directors for Southern Platte FPD in 1988 when the department was an all volunteer fire department. Director Hopper works as a Financial Planner and for Financial Professionals, Inc. in Overland Park, Kansas. From the time Nelson came on the board to the present, the budget and tax resources of the Southern Platte have changed dramatically. His knowledge of investments and money management has been helpful during this period of expansion. He believes strongly in keeping a watchful eye on the citizens’ taxes and keeping them at an appropriate rate that provides strong fiscal responsibility while allowing the citizens to have the appropriate level of protection with a cost effective return. Nelson and his wife Kathie have lived in Platte County for the past 38 years and have been very active in civic, community and church organizations. From this experience Nelson brings knowledge of the people and events that made Platte County one of the fastest growing counties in Missouri, which aids in the process of continuously planning for the future demands of a growing community. “The hiring of a well qualified Fire Chief to oversee the conversion of a once all volunteer fire department to a paid combination, 24/7 fire department has been very successful,” states Director Hopper. This change has taken many years to accomplish and is an on going work in progress. Michael began his career at the fire department right after graduating from Park College. A simple one-page application was handed in and following week he had been accepted into the organization; was given a hook on the wall of the fire station, a pair of green coveralls and some used turnout gear to wear and hang on the hook. One of Michael first jobs was as quartermaster (supply officer). At the time, he was already an EMT. In the late 1970’s the department decided it wanted to re-organize and become a fire protection district. Countless miles were walked spreading the word, but there were a handful of government officials who opposed the efforts. The issue failed the first time, but Michael continued to dig his heels in on an effort to assist in the passage of a vote. In the late 1980’s Michael was asked to run for the Board and accepted the challenge. He won by a mere seventeen (17) votes. Since becoming a Board of Director member, he assisting in the building of Station #1, Station #4, state-of-the-art training facility, the purchasing of apparatus, including new pumpers, Haz Mat vehicle, a public education safety house vehicle, two tanker/pumpers and various support vehicles. Michael was asked in 2008 to be part of an American fire service delegate that visited China. During the trip, he was invited to speak at the Kunming Fire School which had approximately 2,500 students. He had the opportunity to address 100 fire officials and talk about the American fire service and the District’s values. Michael continues to travel abroad and regularly stops at as many fire stations that he can. Michael has created many friends in the fire service throughout the world and continues to speak about Southern Platte with them. In 2001, Michael was honored as EMT of the Year by the National Emergency Medical Technicians Association. 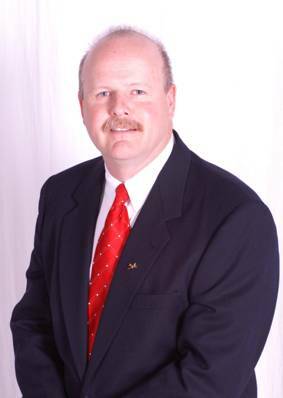 Director Judd has been with the Southern Platte Fire Protection District since 1998. 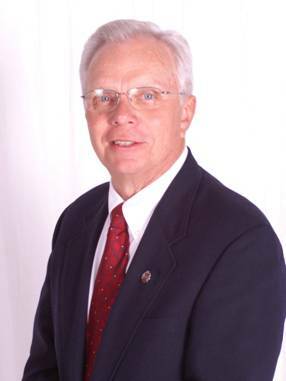 He started out as a volunteer firefighter and in 2000 was elected to the Board of Directors. He has served the Board in the positions of Secretary and Treasurer. Outside the department, Director Judd works for a US based airline. 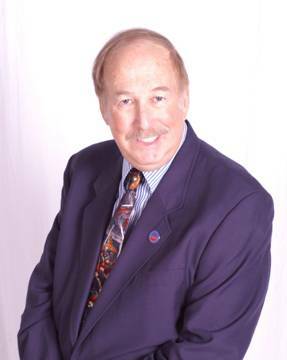 He has been active in the community having served as a board member of a local private school and museum, past Rotary President and was involved in local youth hockey. Since Chief Carrizzo’s appointment to Fire Chief in 1995, he has successfully managed the transition from an all-volunteer department to a combination department, and most recently to a fully career department with 41 personnel, operating out of four stations with a $5.5 million budget. Chief Carrizzo oversees fire prevention, emergency medical service delivery system, fleet maintenance, fire suppression, training and public education/fire investigation. Active in local, state and national fire service professional organizations, Chief Carrizzo serves as President of the Heart of America Metro Fire Chief's Council, is an advisory board member for the community college's fire science program, is an executive Board member for two regional fire chief associations, and serves on the Board of Directors (Executive Committee) of the International Association of Fire Chiefs. He currently serves his community as an active Boy Scout leader, past Chairman of the YMCA Community Mission Board of Directors and serves as Chairman of the Board for a for-profit company. He also serves on the Board of Directors for the International Fire Service Research Center and Policy Institute. Regional collaboration is very important and he serves on the Mid-America Regional Council's (MARC) Public Safety Communications Board as one of two metro fire chief representatives coordinating and setting policy for the entire 9-1-1 system in the nine counties and 120 cities within the metropolitan, bi-state region of Kansas City. He also serves on the Regional Homeland Security Coordinating Committee (RHSCC) within MARC, since 2002 as one of the fire representatives. In 2012, he was appointed to Executive Policy Committee to set policy for the operations and future of RHSCC. Academically, he holds a Master of Business Administration degree, a Bachelor's degree in Business Administration, an Associate degree in Applied Science in Fire Science and is a graduate of NFA Executive Fire Officer Program. In 2001, he received his Chief Fire Officer Designation from Commission of Professional Credentialing (previously, CFAI) and was re-designated in 2004, 2007, 2010, 2013 and 2016. He is also a graduate of the Executive Leaders Program at the Naval Postgraduate School for Homeland Defense and Security. He also holds the designation of MIFireE.